You can earn extra income by selling your clothes on Poshmark. How does it work? It’s easy! 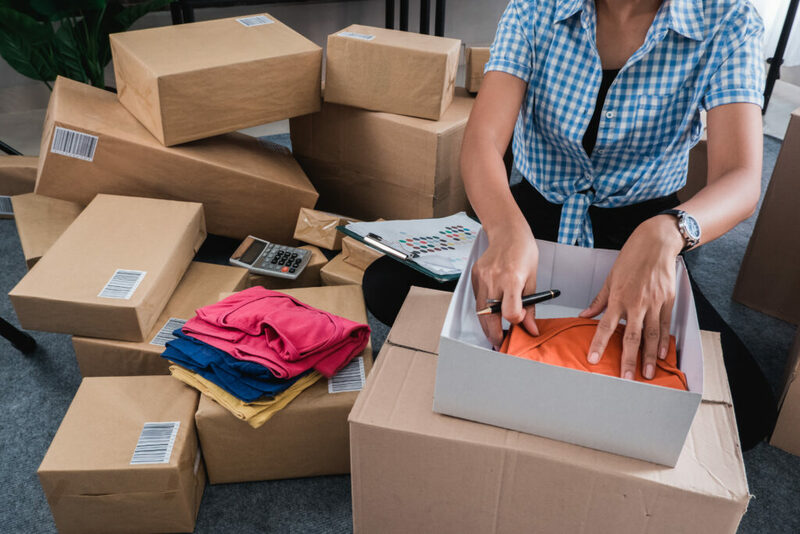 Clean out your closet and make some extra cash. Plus you can find some really great deals on Poshmark too. You can search for your favorite designers and also search by size. Hey fashion-lovers! I’m looking at you! Have you tried Poshmark yet? It’s the best way to buy brands like Lily Pulitzer at nearly 70% off retail. And if you have some like-new clothes you want to sell to make some extra cash, you should try Poshmark. Basically, Poshmark is a way for you and me to enjoy keeping up with our shopping habits without it costing nearly as much. It is fantastic. Don’t be overwhelmed, it’s actually a pretty simple platform. I’ll walk you through both the buying and the selling process so you can get up and running in no time! First, let’s look at how to sell your stuff on Poshmark. If you can post pics to Instagram, you can sell your stuff on Poshmark, it really is that easy. The first step is to create an account. You’ll use this account to create authority as a reliable seller, so fill out as much as you can. Now you are ready to sell! 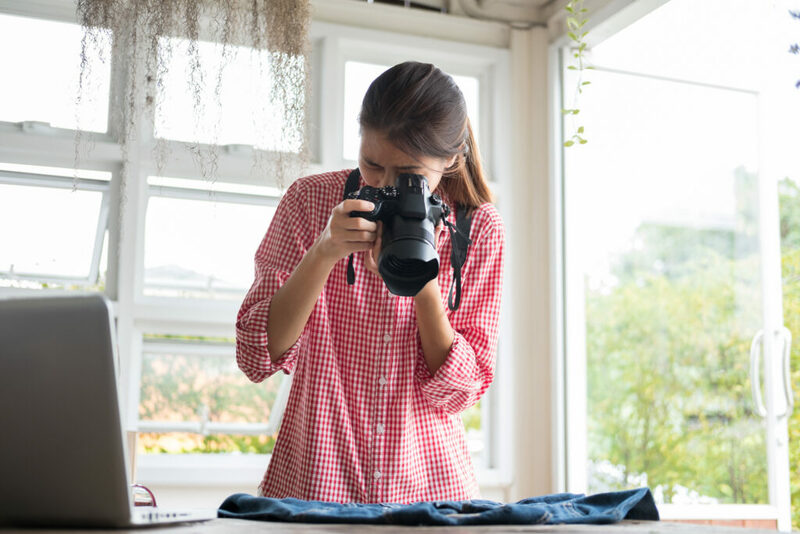 Take a pic of what you are selling and create a listing. If you want your stuff to sell faster and for more money, take good pictures. Fill the room with natural light and remove any distractions from the background. They give you the option to add a filter. But personally, people have less trust for pictures with filters. They want to see the image they are going to buy the way it really looks. List searchable keywords in the description. Use as many specific words to describe your item as you can and be as descriptive and detailed as possible. Mention the items condition and take close up photos of any wear and tear. Bad: Black and white shirt. If you are selling something that still has the tags, put NWT (new with tags) in the description. When someone buys your stuff, you will get a notification from Poshmark. They provide a printable shipping label. You just have to print it out, box up the stuff, and then drop it off at your local post office box. Now you are ready to get paid from Poshmark! This is super simple too. Just go into your account in the app. Tap “my balance.” Then tap “redeemable.” Choose how you want your money. You can get it via a mailed check or a bank direct deposit. That’s it! What a fun and easy way to earn a little extra money with Poshmark. Now that you know how to sell on Poshmark, let’s look at how easy it is to buy on Poshmark. You can browse items from your laptop/desktop computer on Poshmark.com. Or you can download their app to your phone or tablet. The site is easy to navigate. Search for what you want or click around the categories. You can search by designer, by the name of an item for example “navy blue pumps” and you can search by size. You and your friends can gather together and shop each other’s closets at a Posh Party or you can attend online. These are so much fun! See special events and parties under the “New” tab. 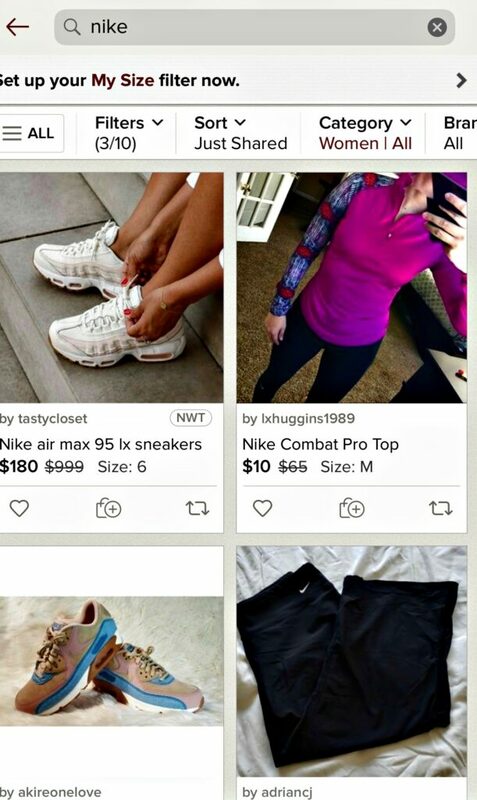 When you find a Poshmark seller who sells what you like, you can follow them to see what they will be posting next! When you are ready to pay, click “buy now.” It’s so easy. You can pay with PayPal, GPay, or credit card. Since you are buying from individuals and not a store, you will have to check out completely after every single item. One thing to remember is that you will have to pay for shipping. Shipping fees average around $7 per item. And you’ll have to pay for shipping for each item you buy. That’s it! Then just wait for up to 2 weeks for your items to arrive. They will have a tracking number so you’ll know when to expect them. Read Poshmark’s Return Policy and the Posh protect Policy here. What will you buy on Poshmark? This is such a fun way to find new clothes that you can’t find at your local stores. What will you buy next? I bought a formal dress for a wedding on Poshmark. I saw it at Macy’s for almost $300 and I paid $40. I’ve only worn it once and now I can resell it. 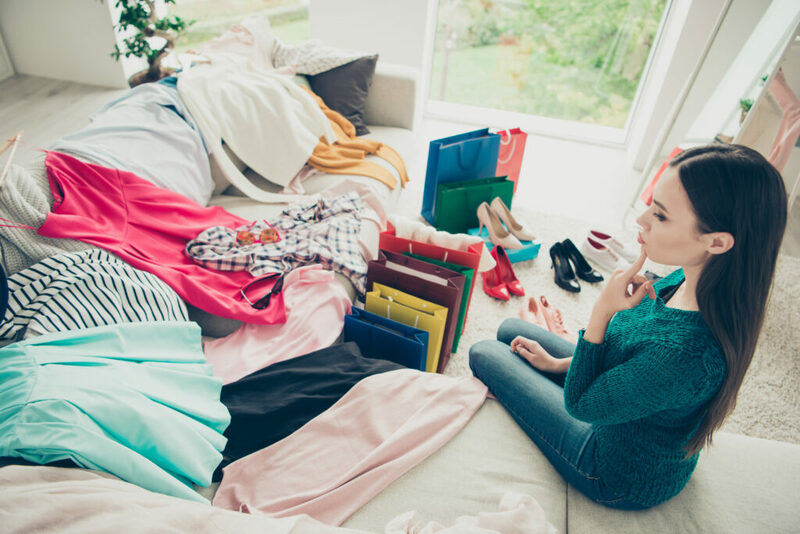 Keep saving money with these shopping tips.